The release of a new version of the iOS always brings with it a lot of excitement about the new features and possibilities it will deliver to iPhone, iPad, and iPod touch owners. When the initial excitement starts to wear off, though, that excitement is replaced with one extremely important question: Is my device compatible with iOS 10? For owners who bought their devices in the 4-5 years prior to the release of iOS 10, the news was good. 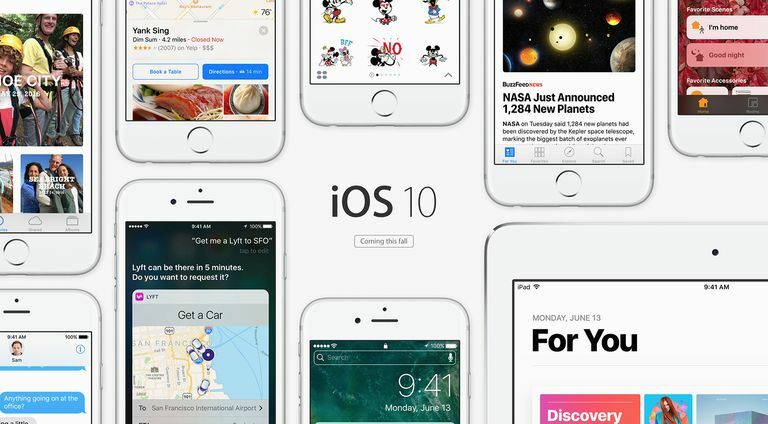 On this page, you can learn all about the history of iOS 10, its key features, and which Apple devices are compatible with it. If your device is in the chart above, the news is good: you can run iOS 10. This device support is particularly impressive for how many generations it encompasses. On the iPhone, this version of the iOS supported 5 generations, while on the iPad it supported 6 generations. That's pretty good. Even better: unlike some versions of the iOS in the past, all features of iOS 10 run on all devices that are compatible with it. None of that is not much consolation if your device wasn't on the list, of course. People facing that situation should check out "What To Do If Your Device Isn't Compatible" later in this article. Apple released 10 updates to iOS 10 after its initial release. All updates maintained compatibility with all of the devices in the table above. Most of the updates primarily delivered bug and security fixes. However, some delivered notable new features, including iOS 10.1 (depth-of-field camera effect on iPhone 7 Plus), iOS 10.2 (TV app), and iOS 10.3 (Find My AirPods support and the new APFS filesystem). For full details on the release history of the iOS, check out iPhone Firmware & iOS History. Home, a smart-home controller app. If your device isn't present in the chart earlier in this article, it can't run iOS 10. That's not ideal, but many older models can still use iOS 9 (find out which models are iOS 9 compatible). If your device isn't supported, that suggests that it's fairly old. This may also be a good time to upgrade to a new device, since that not only gives you compatibility with iOS 10, but also all sorts of hardware improvements. Check your device upgrade eligibility here.